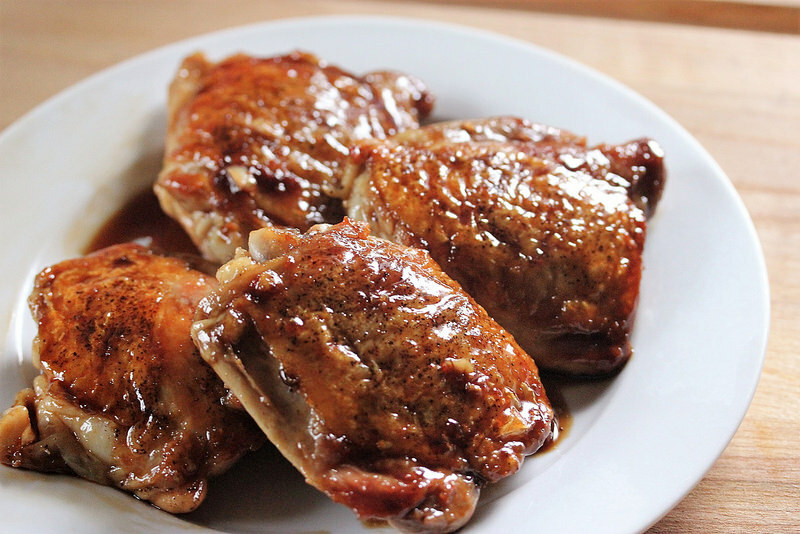 This Teriyaki Chicken for Two recipe was adapted from Cooks Country Cooking for two cookbook. I found their procedure for crisping the chicken pretty unique. They weighted the chicken down by placing a large pot on top of the chicken weighted with 2 (14-15- ounce cans of whatever you may have on hand). The chicken browns evenly, and is nice and crisp. 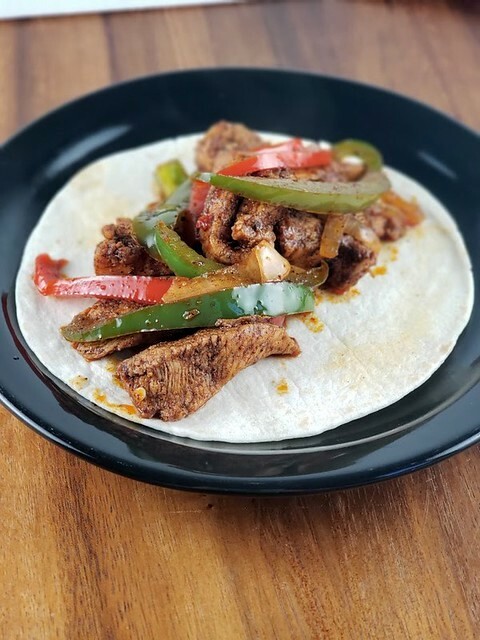 This recipe is quick and simple to prepare and doesn’t require that many ingredients; my wife absolutely loved the sauce. Cover the bottom of a large sauce pan with aluminum foil using enough foil to bring the edges to the top to secure it. Place 2 cans 14 – 15 ounces each inside the pan for weight. (I lightly sprayed the bottom of the aluminum foil with cooking spray). Trim any excess skin and fat off the chicken and salt and pepper to taste. In a nonstick skillet using the oil over medium high heat place chicken in the skillet skin side down, and then place the weighted pan on top of the chicken. Cook for 10 minutes or until skin is nicely browned and crispy. 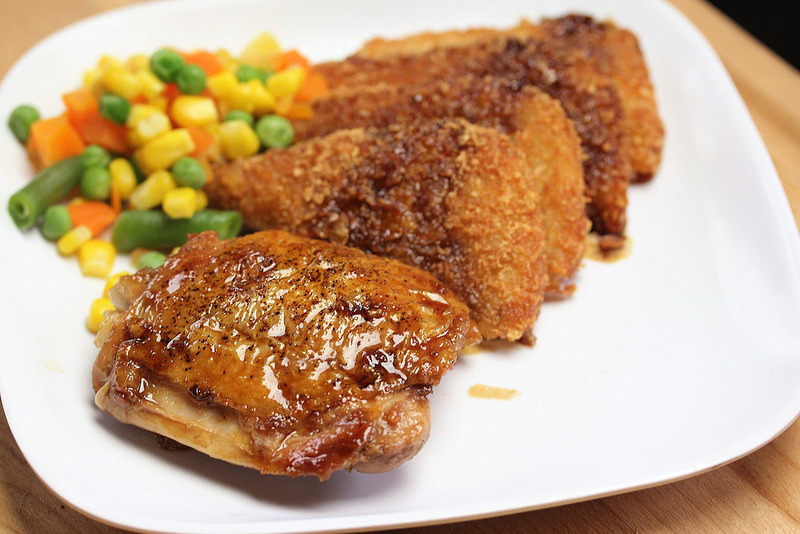 Flip chicken and continue cooking until chicken reaches an internal temperature of 175F; remove from skillet and set aside on a plate and then remove any fat left in the skillet. While the chicken is cooking in a bowl whisk together the sugar, soy sauce, mirin, garlic, red pepper flakes, and cornstarch until thoroughly combined. Pour the mixture into the skillet and bring to a simmer and then place the chicken in the skillet skin side up. 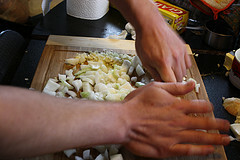 Cook until sauce thickens and turns glossy, and then turn the chicken in the sauce to evenly coat.